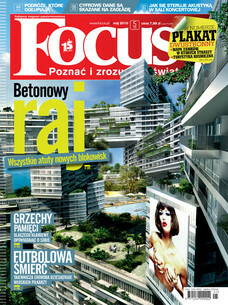 The Polish edition of the Focus popular science magazine has featured my Robotic Hand in their May issue. Scan included. It seems like every hobby has its own surprises. Personally, I never expected to become known for something I’ve built over a single weekend just to keep myself occupied while waiting for the parts needed to finish my S Tank 2 model, but here it is – the Robotic Hand, a construction I considered so insignificant that I almost neglected publishing it at all, was featured by at least 15 various websites including even the mighty Engadget.com, and has recently made its way into the Focus magazine. It has been mentioned as one of four constructions in an article entitled “Klocki mają moc” which translates as “Bricks have the power” (note the unintended pun – the Polish word for power, “moc” is written just like “MOC”, an abbreviation for “My Own Creation” commonly used by the LEGO builders). The other three constructions include the LEGO house built by Top Gear’s James May, the Dispatchwork artistic happening using the LEGO bricks as a medium, and the 1:1 statue of Christ displayed in Vaesteras, Sweden. Not that it makes me a real star, but but it’s still a remarkable company to find oneself among. And the Focus magazine is not your ordinary newspaper, as it’s being released for 15 years now, with monthly circulation currently at 170,000. On another note, I have been invited by the Focus magazine to participate the Picnic of Science which will be held at Warsaw on June 12th. I’m supposed to bring some model along and present it to the public. We are still settling some details and I’m not yet sure which model to choose. Here’s a scan of the Focus article. I apologize for the quality, but my scanner is pretty much antique. I don’t know. And I don’t have any ‘collection’ as such, I simply buy parts. Is there a website in English that I can read the article in? I hope you learned your lesson, never publish anything you dont like, they’ll just end up in publicity! Bring a nice multi-functional vehicle to the picnic. i thought MOC stood for my own creation 😛 glad you made it to the paper!